The children at Plympton St Maurice Childcare Centre in Plymouth will certainly have a few tales to tell after they were visited by characters such as Elsa and Anna from Disney’s Frozen and Marvel’s Spiderman last Friday, as part of a Children in Need fundraiser. The event started off with a cake sale, with items donated by the parents and staff of the centre, followed by Magical Moments who donated their time free of charge; entertaining the children with games, activities and face painting. 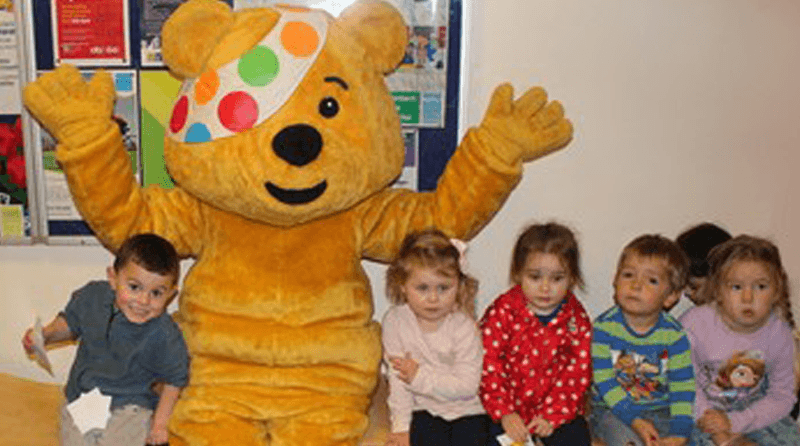 At the end of the event, the parents and children raised £503.87 for Children in Need. Kelly Wakeham, pre-school room leader and deputy manager, said: “The children loved it, they were mesmerised by the princesses and Spider-man was a big hit with the boys, they were talking about it the next day so it had a real impact on them. “We had a raffle with loads of prizes donated by local companies and parents, meaning that we had over 40 prizes to be won, making it a really successful raffle. “The event wasn’t just open to people who use our facilities, but the community as well, a real community event.